Cherry Hill police responded to the Cherry Hill Mall on Tuesday night for the report of a large group of unaccompanied juveniles causing a disruption. 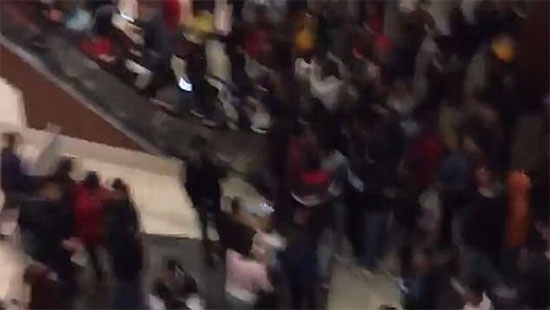 Nearly 1,000 unruly individuals were gathered near JC Penny around 7:30 p.m. Police began to disperse the crowds. They made five arrests including four juveniles from Camden and one from Cherry Hill. The charges range from disorderly conduct to resisting arrest. Last week, Cherry Hill police warned parents not to allow their children to go to the mall by themselves. A 16-year-old in South Philadelphia will stand trial as an adult for the October shooting deaths of two other 16-year-olds. Brandon Olivieri is charged with the murder of Caleer Miller and Sal Dinubile. The shooting happened on October 28th outside of Dinuble's home at 12th and Ritner Streets. Municipal Judge Patrick Dugan told the court, "I got a 16-year-old sitting here in a gun culture. We’re buying them on the streets like a soda, and I got two other kids in the body bags. When the hell are we going to stand up and stop this crap?" An 11-year-old girl was found unresponsive and later died after a sleepover in Northeast Philadelphia. The girl was found Wednesday morning around 10:15 a.m. in a home on the 9200 block of Angus Place. She was unresponsive and taken to Aria-Torresdale Hospital where she was pronounced dead at 11:20 a.m. The girl lives on the same block and had slept over her friend's house. Her friend says they were playing with the iPad and went to sleep around 1:30 a.m. Investigators do not believe that foul play is involved, but do not know what caused the girl's death. Autopsy results won't be available until next week. They are looking into whether she had a preexisting medical condition or unknown food allergy.